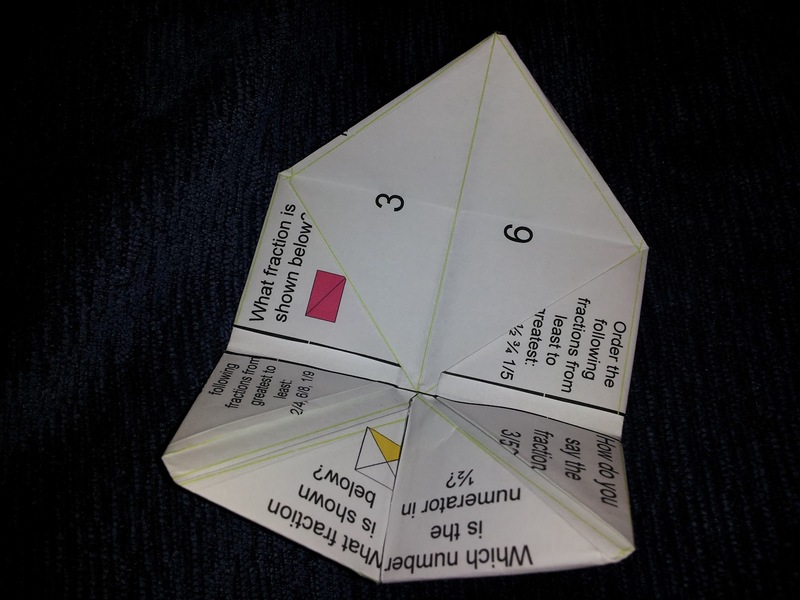 Math Fortune Tellers or Cootie Catchers are very popular with students. These are the origami pieces that are folded so that you make a series of choices which are supposed to tell you something about yourself. A few years ago I went to a gifted and talented training and they suggested using them in the classroom with content. I thought this was an amazing idea and made a bunch for my students on all different topics. Where Do I Find Math Fortune Tellers? All of the originals that I made with another teacher friend were handwritten. This worked fine, except they would wear out pretty quickly and I would have to make another. I quickly made a template in PowerPoint so that I could save each fortune teller and print a new one. This template can be found as a FREEBIE in my store. Many of my TicTacToe Choice Boards for Math include the use of a fortune teller to practicing the skill of choice. 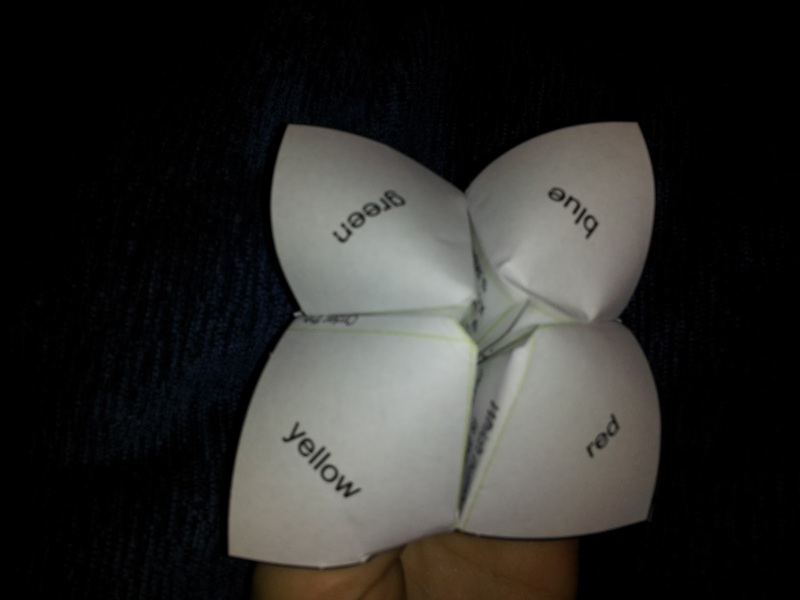 The task is for students to complete the teacher created fortune teller and then create one of their own. We are beginning our fraction unit when we get back, so I reviewed my fraction fortune teller that goes along with the Fraction TicTacToe Choice Board. After completing the template, simply print out the fortune teller and fold along the bright green lines. How Do I Use a Math Fortune Teller? 4. Pull out on the outer sheets so that your fortune teller looks like the picture below and insert your fingers under those flaps. To play, choose a color. Spell out the color moving your fingers in an alternating pattern as you say each letter. To add more content, instead of colors use vocabulary words. 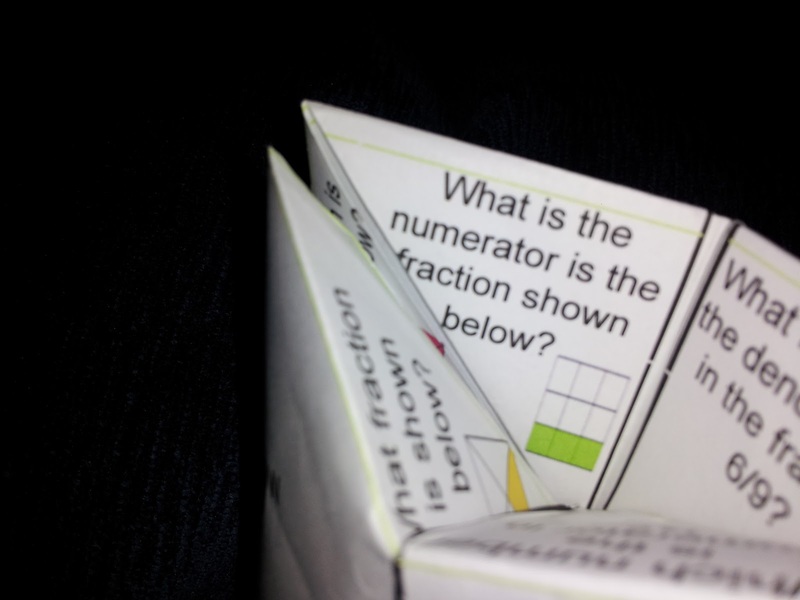 Answer the question, and then check your answer by looking below the flap. These fortune tellers are fun for students and can be used in any content area. I have also used them as ice-breakers at the beginning of the year with getting to know you questions.